Johnson & Johnson Baby Shampoo has Cancer-Causing Chemical: What is Formaldehyde and Where Else Can You Find It? 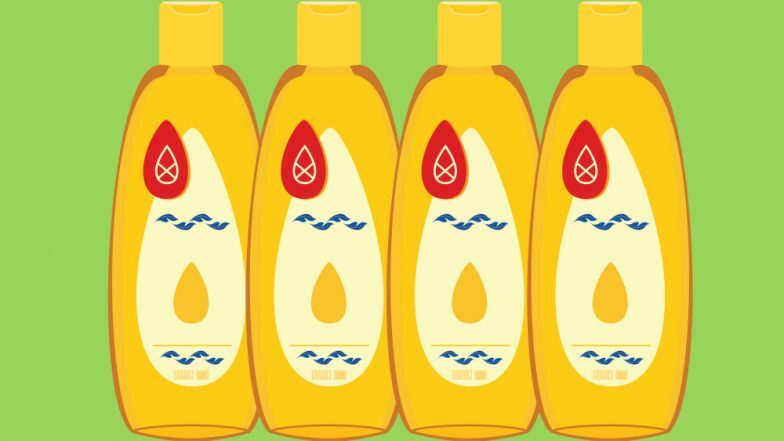 Johnson & Johnson’s No More Tears shampoo now has plenty to cry about after the Rajasthan Drugs Control Organisation (RDCO) found a cancer-causing ingredient in it. Formaldehyde, a known carcinogen, was found in certain batches of the shampoo. Following which, the RDCO has ordered an immediate withdrawal of two batches of No More Tears. Although the company has rejected the charges, it’s a matter of great concern that infants may be exposed to the deadly chemical through the trusted brand. Healthcare activists have been warning the world against formaldehyde in many everyday household items, not only baby products. Here’s everything you should know about the cancer-causing formaldehyde, including all the other “harmless” sources of the chemical. Formaldehyde is a chemical made of hydrogen, oxygen and carbon. It is produced naturally in all living beings as part of cellular metabolism. Research led by scientists at the MRC Laboratory of Molecular Biology showed that formaldehyde has a ‘positive’ function in the human body, helping it produce DNA and essential amino acids, which are the building blocks of life. In its pure form, it’s a colourless gas with a strong odour. But the chemical is also available in liquid and solid forms. Formalin In Fish: How To Detect The Cancer-Causing Chemical Contamination in Your Seafood. While it is naturally occurring, formaldehyde is often used as a chemical preservative and anti-bacterial agent in a variety of products. It’s also used as embalming fluid to preserve dead bodies. How Are Humans Exposed to Formaldehyde? Since formaldehyde is a gas at room temperature, most of the exposure happens due to inhalation. It can also be absorbed through the skin or ingested in its liquid and solid forms. According to Cancer.org, inhaled formaldehyde is broken down in the cell lining of the mouth, nose, throat and airways. So only a small fraction of the formaldehyde is absorbed into the body. What Other Household Products Have Formaldehyde? Does Formaldehyde Affect Human Health? Several studies have investigated the health effects of formaldehyde on human health, especially when it is inhaled. Many indoor sources increase our exposure to the chemical through processes like cooking, heating and smoking. Even burning joss sticks (agarbatti) and candles can release formaldehyde into the air. Immediate signs of formaldehyde exposure include watery eyes, irritation of the nose, headache, drowsiness and gastrointestinal problems. Cancer.org says that formaldehyde exposure does cause cancer in laboratory settings. Exposure to a high amount of formaldehyde as medical and occupational hazards has been linked to certain types of cancers. Most of the exposure is through inhalation. People who work with formaldehyde, especially embalmers and medical professionals, have an increased risk of contracting leukaemia. Animal studies have also shown an increase in nasal cancers after inhaling formaldehyde gas for a long time. But as of now, human studies linking the two are sparse or inconclusive. And not much is known about the consequences of exposure to formaldehyde in small quantities. Agencies such as the National Toxicology Program, International Agency for Research on Cancer, Environmental Protection Agency and National Cancer Institute have linked formaldehyde to cancer.